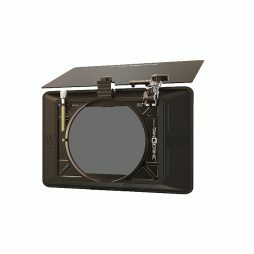 The MB28 is a three-stage swing-away production matte box designed for 6×6 filters, though is also compatible with PV (4×5.65″) size filters. 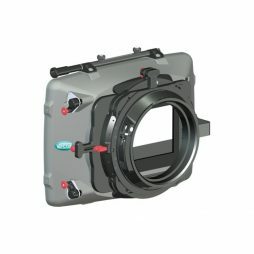 Although this studio matte box is aimed at larger zoom lenses such as the Angenieux Optimo 24-290, it can also be used with most other prime & zoom lenses thanks to a full compliment of reduction rings. 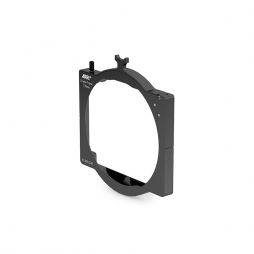 This is particularly useful when using wider focal lengths or large-front primes that require 6×6 filter coverage. The Arri MB-19 is one of the most popular matte boxes available and a stalwart of both studio and location filming. 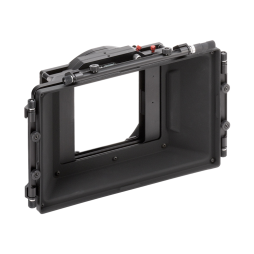 Its compact, lightweight design allows this matte box to be mounted on 15mm bars for handheld use, whilst the addition of a 19mm adapter makes this sturdy matte box compatible with heavier lenses and rigs. Featuring three filter stages, top- and side-chops and a full compliment of clip-on hard mattes, the MB-19 gives you excellent control over unwanted light. The built in swing-away feature speeds up lens swapping and saves time on set. 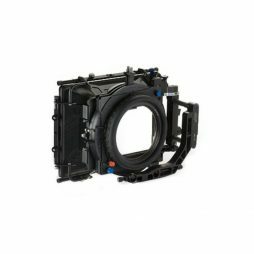 Arri’s LMB-5 is one of the lightest and most affordable clip-on matte boxes available. 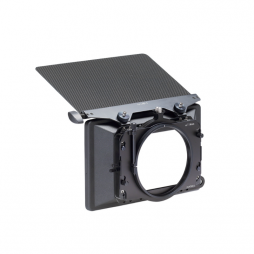 Supporting lenses with front diameters ranging from 80mm to 114mm, this two-stage matte box is excellent for shoots requiring Steadicam, gimbal or extensive handheld work. Specifically designed for lightweight shooting, the ARRI MMB-1 is an excellent choice for cameras such as the FS7 & C300MKII. 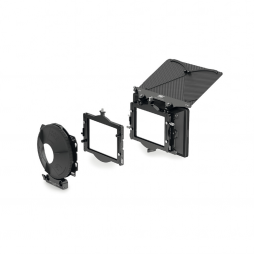 Our MMB-1 kits come with 4×4 trays as standard, so there are more filtration options available to you when shooting. 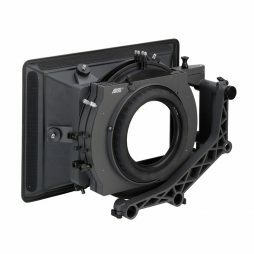 This matte box is also compatible with 138mm dioptres up to +2 in strength. 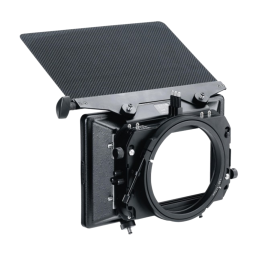 An ultra-lightweight clamp-on matte box which lends itself for use with Steadicam, Easyrig operation and stabilised gimbals such as the MoVI Pro or DJI Ronin-M. 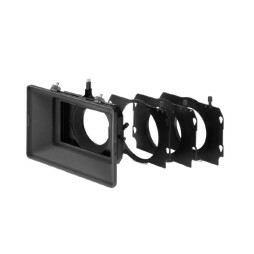 Weighing in at a mere 195g, it still retains a host of features, including a 2-filter capacity (4×4, 4×5.65, or a combination of both filter sizes) and tilt function to remove unwanted glare & reflections. 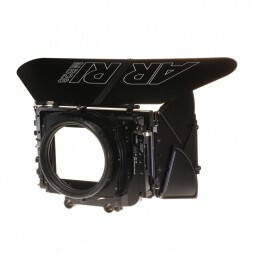 The frame allows 138mm dioptres of up to +2 strength to be used with an ARRI LMB mattebox. 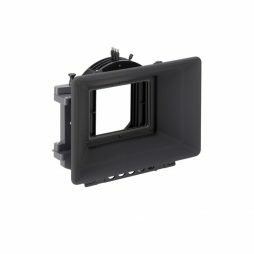 The dioptre frame is the width of two 4” x 5.65” filter frames and fits into a 2- or 3-filter stage mattebox. 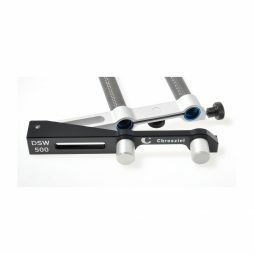 It also features a safety mechanism to prevent the dioptre from falling out of the frame during exchange, while two ¼” threads permit the frame to be attached to an articulating arm. 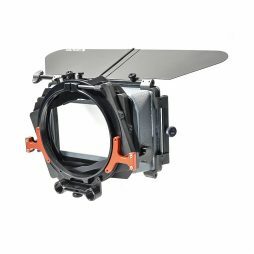 A compact mattebox with two independently rotating filter stages. 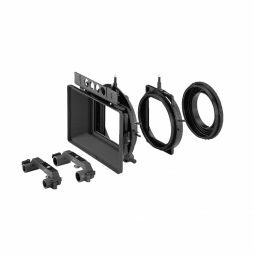 The adjustable 15mm support allows the Vocas MB-325 to be used with most DSLR body types, whilst the 77mm screw-in reduction ring attached directly to PMW-300 lenses and many Canon zooms.